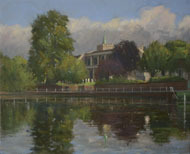 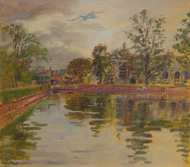 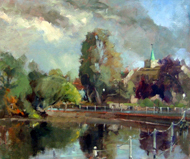 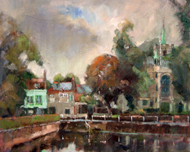 On Wednesday 26th September 14 members of the prestigious Wapping Group of Artists braved the variable south London weather to gather around the gallery and historic ponds in Carshalton to capture local scenes in oils and watercolours 'en plein air'. 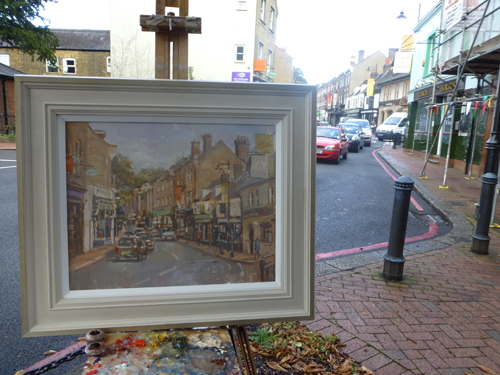 We will be updating the site with images of the group painting in the area and the works they completed during the day as they become available from the artists. 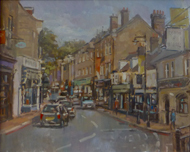 If you are interested in purchasing any of the paintings then please call the gallery on 020 8647 1800 and ask to speak to Andrew for more information.